Happy Manicure Tuesday! It feels like a long time since I have done nail art! 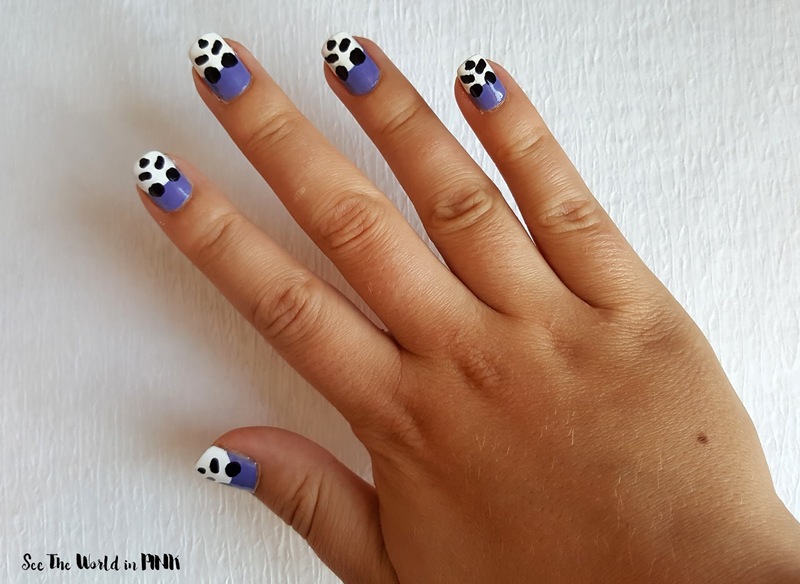 I broke a few nails so they are super short this week so I needed to find something cute to do on short nails - so I thought pandas! How cute are these?! 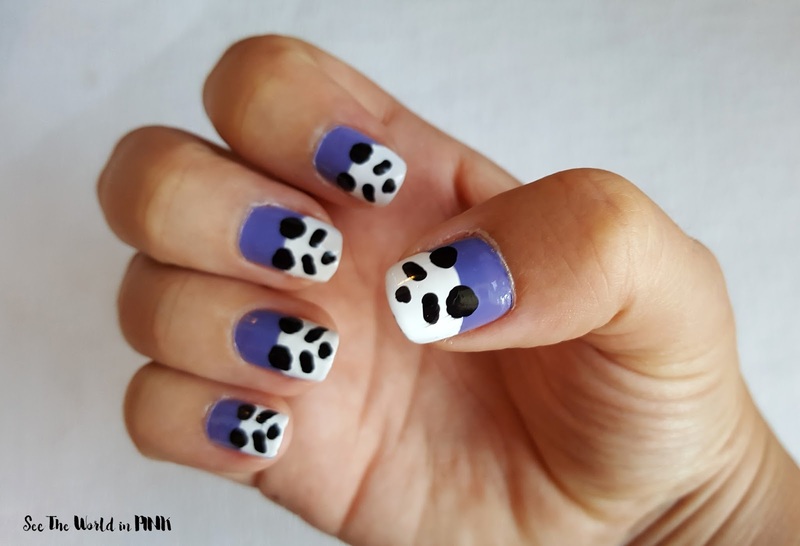 I love pandas and I love how these turned out and they were easy to do! These are really easy to do! All you half to do is create an arc and fill in with white polish. Then using the black polish and a dotting tool, create ears, eyes and a nose! Love how these turned out! At this point, I need quick nail art so it can be done and dried within babies quick nap; but, I still want them to look cute!